Why Restore Your Metal Roof? One big feature is a metal roof’s energy efficiency. You will lower your annual energy costs significantly compared to asphalt shingle roofing systems. If you have a metal roof, you won’t be running to turn on your cooling and heating systems nearly as much. You’ll want to install some extra insulation to help take even more advantage of this energy efficiency. Environmental friendliness is another big reason to choose a metal roofing system. They can be completely recycled at the end of their long lifespan, so you won’t have a bunch of waste filling up landfills when their broken down and taken off. So, as you can see, if you can afford the investment, upgrading to a metal roof should be an easy choice. You’ll save a lot of money in the long run and you can’t get better protection for your property or its occupants. They also have long, comprehensive warranties that will justify your decision even further. Because they last so long if they’re maintained correctly, metal roofing systems are an excellent investment. They can withstand severe weather elements, whether you’re talking about heavy rainfall, heavy snow, high winds or hail. It will last as much as 2 to 3 times as long as other options, so its worth the extra expense, which is why we say its a true investment in your business. There’s a lot of metal roofing that is already installed on properties throughout the country. With more and more being added each year as it becomes more well known and popular, it has become one of the more popular roofing options for property owners and managers. However, if you don’t maintain it properly, you will experience issues and problems that can turn into expensive repairs, just like other roofing systems. 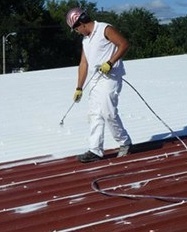 These are the most common issues that you will encounter with a metal roof , which all result mostly from poor installation or maintenance – punctures from foot traffic, leaking from roof tears, ponding or pooling water, rust from extended direct exposure to the elements and panels blowing off in high wind conditions. Here’s a cost effective and durable solution opposed to replacing your roof – Metal Roof Restoration. 1- Replacing your roof will take up a lot of your company’s time. If you think about what you have to do to replace your roof – New metal panels, new insulation and tearing off all the existing roof materials – it can be a daunting task. All of this can take significant time, interrupting the normal operations of your business until it’s complete. 2 – While it’s being replaced, the buildings interior and inventory can be exposed to the elements. You have to tear off the old material and install new panels, which will leave the building exposed as this is being accomplished. You could compromise your building’s contents unless you provide sufficient shelter or cover for them. If your contents are expensive technological components or their is a high security concern, this could be a large expense in addition to the interruption. 3 – A Metal Roof Restoration is much less expensive than a replacement. We’ve discussed a lot of the costs of roof replacement – more materials, tear-off costs, lots of labor, and disposal/landfill charges. The fact is, you can save as much as 50% with metal roof restoration over metal roof replacement. 4 – There’s no guaranty that replacing your roof won’t cause the same exact problems to show up again down the road. 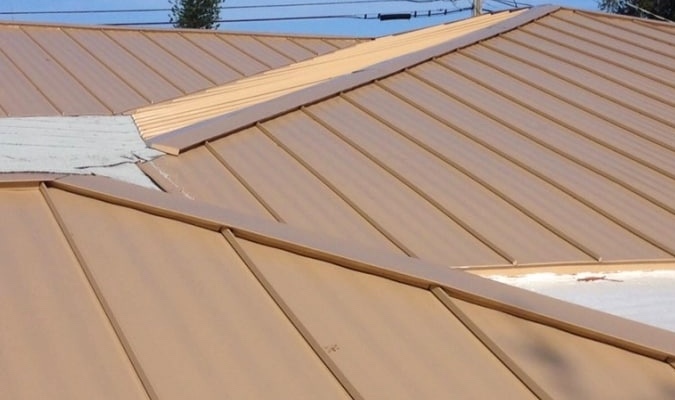 Since an old metal roof has pretty much the same features as a new metal roof, so why not save the money and inconvenience by restoring the old one instead? 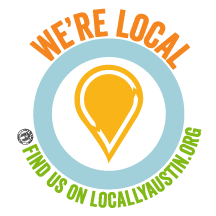 Armadillo Roofing & Exteriors (512) 333-7663 provides commercial metal roof restoration, commercial metal roof repair and commercial metal roof installation services to Austin, Texas and the surrounding Austin area communities. When you need solid advice from an experienced, trustworthy commercial roofing contractor that has plenty of history with metal roof replacement or metal roof restoration, give us a call.